It was 20 years ago today... 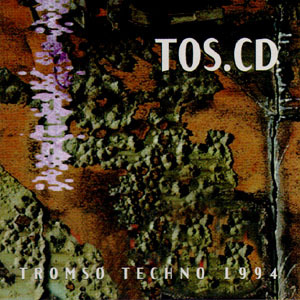 The Tromsø Techno scene was blooming. Bands like Biosphere, Mental Overdrive and Volcano, and artists like Bjørn Torske and Rune Lindbæk had already gotten well deserved attention worldwide. Röyksopp was still years ahead, but the two of them was half of the young quartet Aedena Cycle. The Beatservice radio show on the local Student Radio was celebrating their 10 years anniversary with a compilation of the Tromsø Techno scene. The birth of the Beatservice Records label. 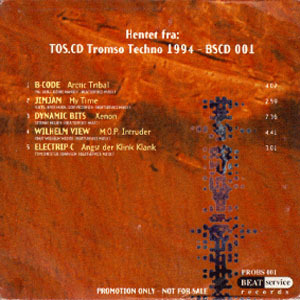 The compilation was only released in 1200 copies in Norway, and has long been out of print. And have not been available for the rest of the world. Until now! As a part of the Beatservice 20 year anniversary, this rare compilation has finally been re-released digitally worldwide!